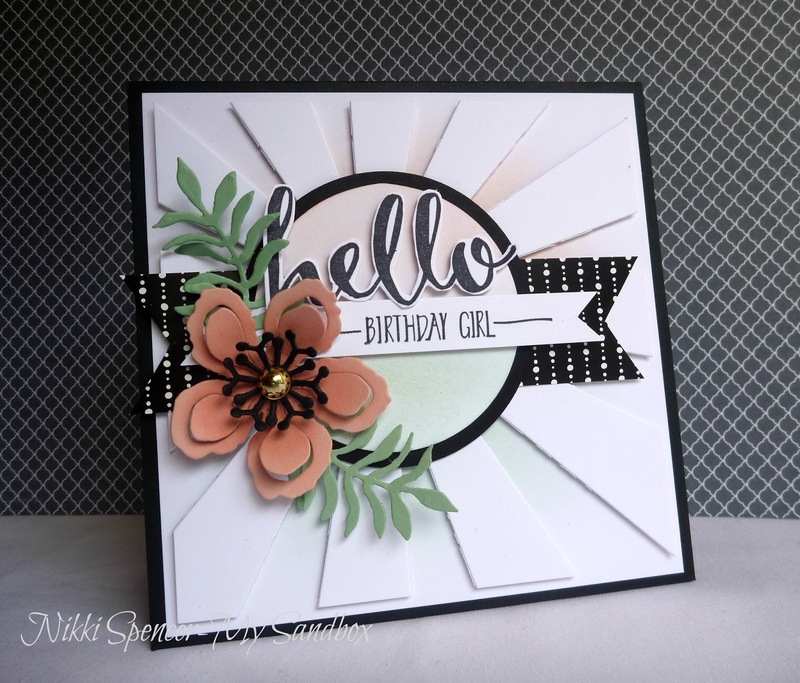 Hello!...I'm home from holidays refreshed, ready to create and enjoy the brand new Stampin Up catty that will be live in 3 days time...Yay! 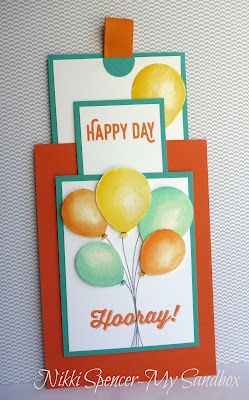 This project was created a few weeks back before going on holiday, so no new goodies on this one, but lots of inky fun! 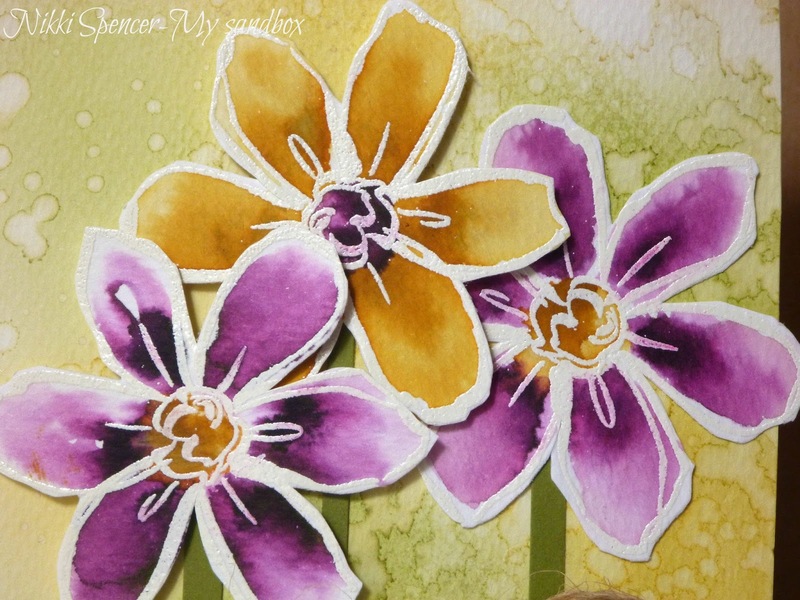 To create the background, l used some Delightful Dijon & old olive markers on my kraft mat, spritzed it with water and placed a piece of watercolour paper on top. I let that dry off a little then sprayed some water into my hand and flicked it over the top, allowing it to wick out and dry naturally creating the splotchy effect. For the flowers, l heat embossed them in white E/P coated them liberally with water and dropped some ink onto each petal and just let it do its own thing. Just Add Ink #313....Just add "B"
Hey there blog friends! Friday has arrived and that means we have a brand new challenge over at Just Add Ink This week Tina has suggested we "JUST ADD B" to our projects...Easy and fun! 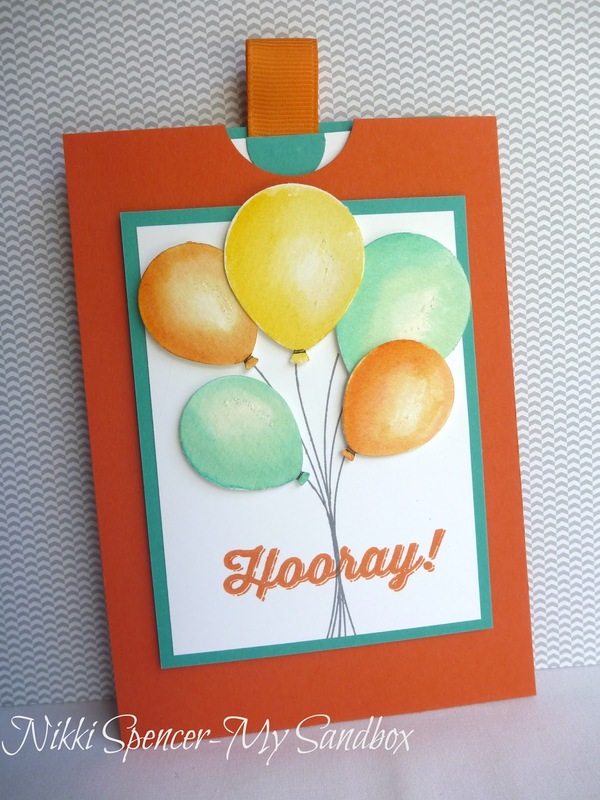 Call me captain obvious, but l couldn't resist using the "Balloon Celebration" bundle, but l wanted to try something different. 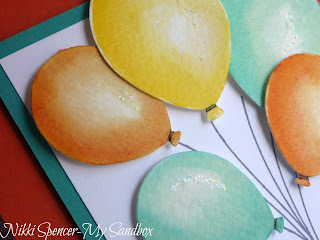 I punched my balloons and water coloured them using Bermuda Bay-Tangerine Tango & Daffodil Delight. I really love the soft effect this gives the balloons. Don't forget to stop by the challenge blog and check out the fabulous inspiration from the rest of the design team. 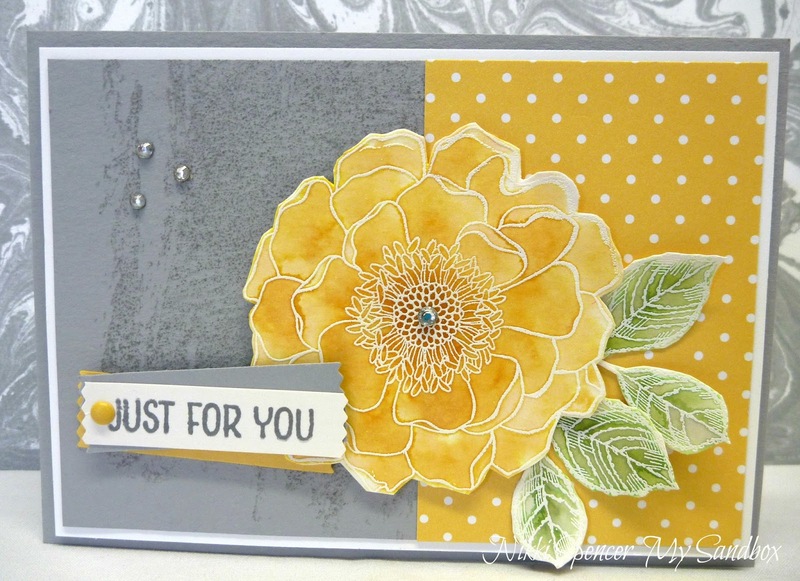 It's time for another fun Just Add Ink challenge and this week Patrice has given us a lovely colour combination to work with. I must admit to being a little stumped at first working with all of those blues, but l eventually decided to revisit last weeks masking techniques and this was the result...I love the universe/moon effect. Using the insert from some paper towel roll and my very unloved masking fluid, l randomly stamped and splattered over some Whisper White with the paper tube. 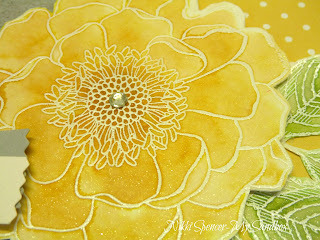 Once the masking fluid was completely dry, l then set about adding variations of the blues direct from my ink pad to a Teflon kraft sheet, spritzed it liberally with water and laid my whisper white on top and smooshed it around (do you like my technical terms..lol) I repeated this adding more colour and water to the Kraft sheet until l was happy with the look. Once it was all completely dry, l used my fingers to remove the Masking fluid, added some Silver details and teeny tiny stars from the confetti border punch to finish it off. The greeting is from the SAB set called Perfect Pairings. 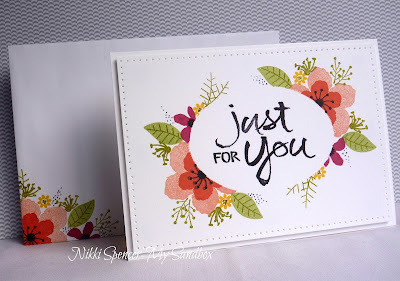 Happy Friday to you!....Over at Just Add Ink this week we have a technique challenge happening, we want you to "JUST ADD MASKING". 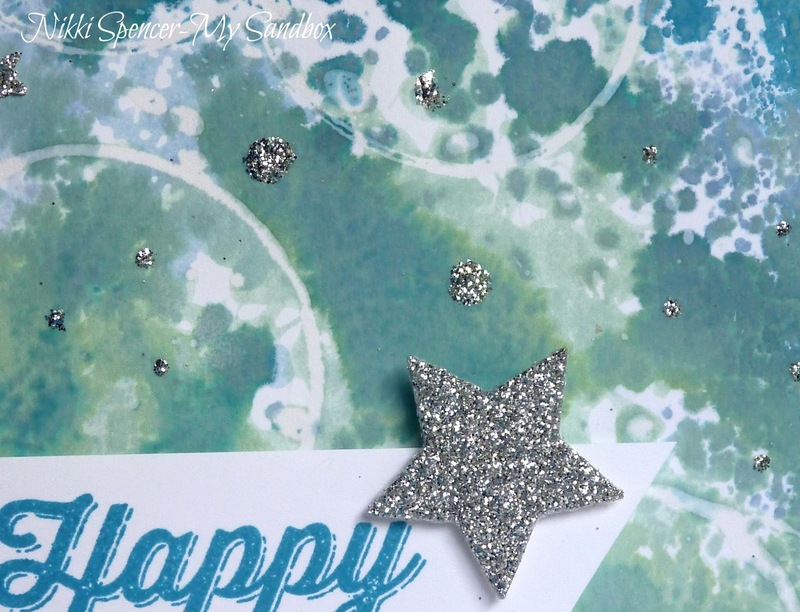 I love playing with this technique and it can be achieved in such a variety of ways. I went with a basic method of die cutting an oval from the "Ovals Collection" and used temporary adhesive to hold it in place to create my mask. 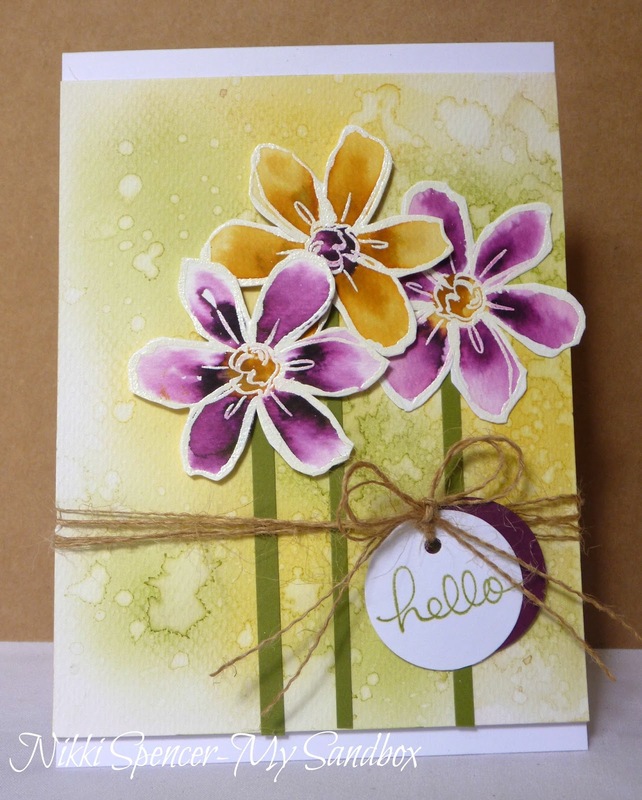 Using my fave go to stamp set of "Botanical Blooms" along with "Botanicals for you" l stamped around the edge of the mask in Crisp Cantaloupe & Calypso Coral-Rose Red-Old Olive & Daffodil Delight...Then added the fine black sprays with the fine tip on my Basic Black marker. 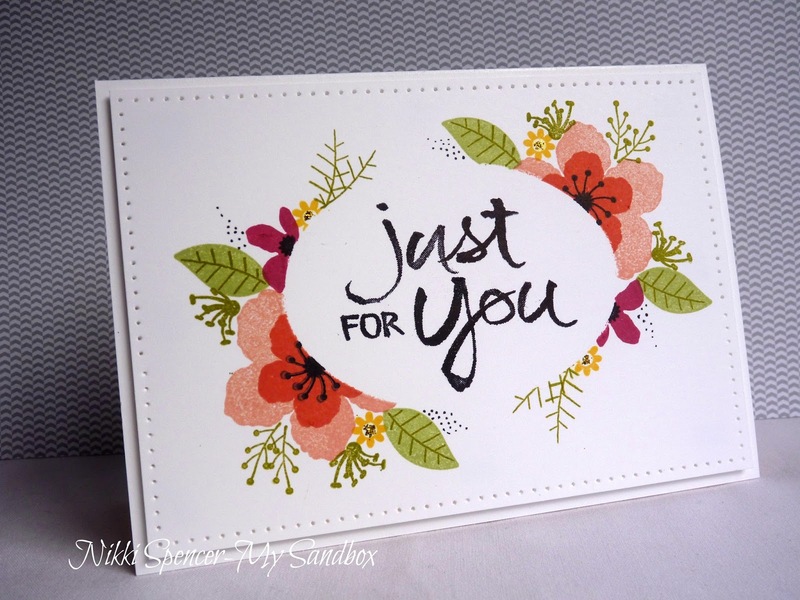 Once l was happy with that, l removed the mask and stamped the sentiment from Watercolour Words in Basic Black, added some piercing and it was done...CAS! 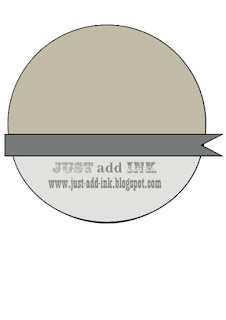 Make sure you stop by the JAI blog and check out the rest of the design teams awesome masking ideas! Wishing all of my lovely mum friends and family a wonderful day that you all so deserve. 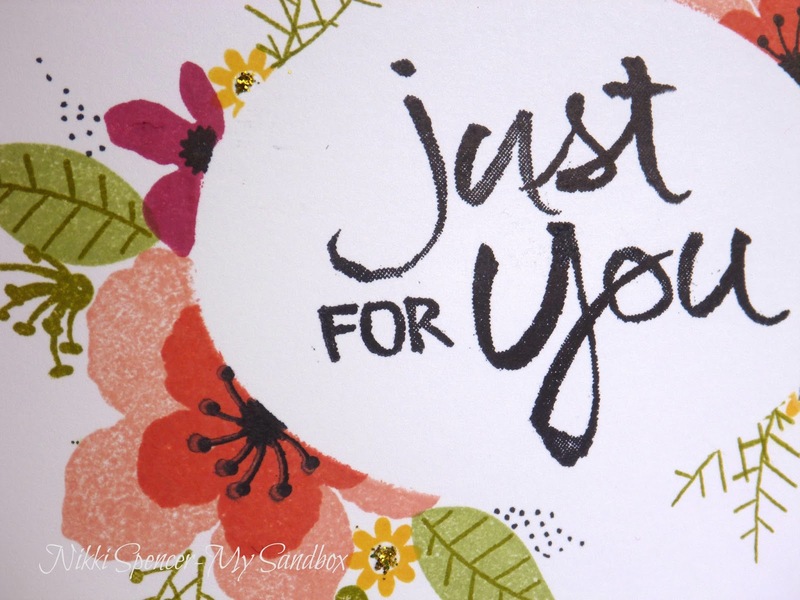 You inspire me in so many ways and for that l am always so thankful to have you all in my life...Mwah! I thought l would pop in and share some cute little gift boxes l created for some lovely mums to wish them an extra special day! With all of the fun punch boards available from Stampin Up, it makes it so easy to create sweet gift boxes and bags and as l also love creating candles and melts, it's a perfect match and something l love gifting. And just in case you were wondering what l popped in them...It's a giant rose melt! Happy Friday lovelies! 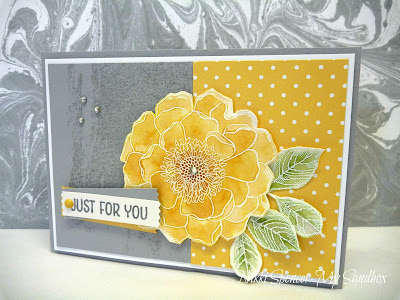 It's Just Add Ink challenge time and this week Tina has provided a cute sketch for us to play with. 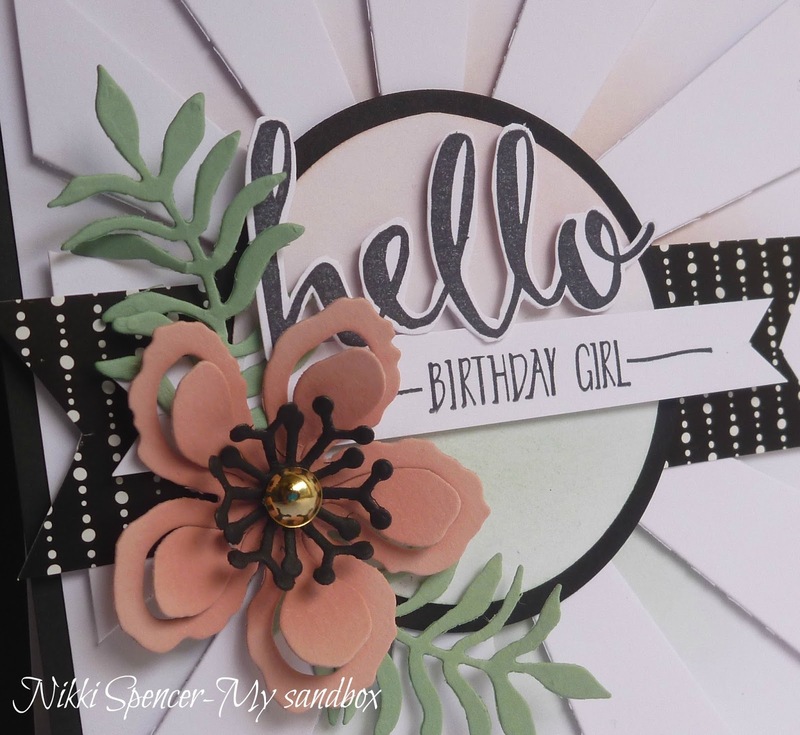 I came up with a few "Round" card ideas, but finally settled on incorporating the sketch on my card front....Can you see it? 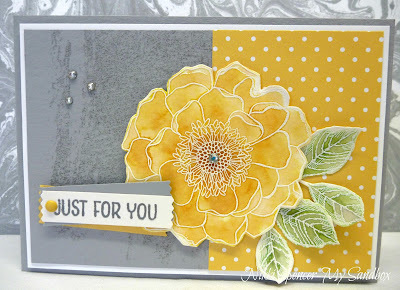 I'd been chomping at the bit to use the Sunburst die and it seemed to be the perfect fit for the sketch..:0) I lightly sponged some Blushing Bride and Mint Macaron behind the diecut and also above and below on the sentiment panel...It's hard to see in the pics but it is there and more vibrant IRL. 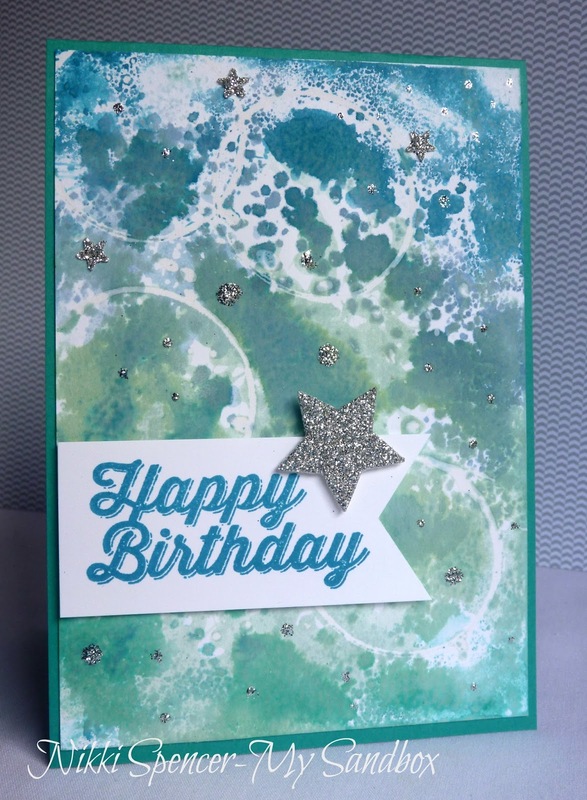 The design team have some fab inspiration using the sketch, so don't forget to pop over and check them out! Stamp Review Crew...Blended Bloom Edition! Welcome to another fun hop from Stamp Review Crew. For this one we are showcasing the lovely big "Blended Bloom" It's such a lovely image and is very versatile. 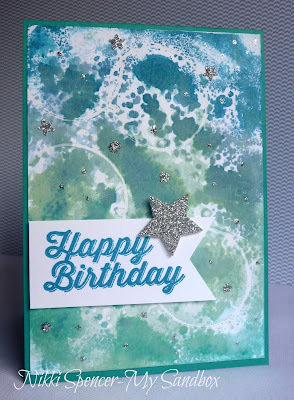 I went with a fun inky technique that l haven't used in forever..I stamped and heat embossed the image on a piece of Shimmer cardstock in Whisper White E/P. Then l liberally coated the whole image with water using my Aqua pen and then added some Daffodil Delight re-inker in dots on each petal and let the water do the rest...So easy and effective. I must add that l let it dry naturally vs heat drying, it seems to pool better. Once it was nice and dry, it got a good coat of Wink of Stella pen. Now that you've landed here, you can continue on your way around by clicking the next banner below or if you wish to start at the beginning you can click the Stamp Review Crew banner up top.